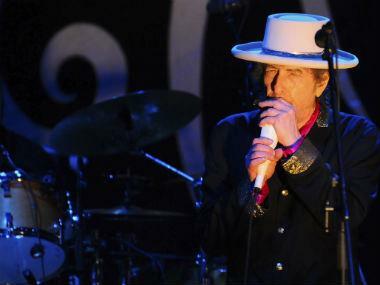 The famous 60s folk singer-songwriter Bob Dylan won the Nobel Prize for Literature on Thursday. The Nobel Prize committee said Dylan had 'created new poetic expressions within the great American song tradition', to become the first-ever recipient of a Nobel, Pulitzer, Oscar, Grammy and Golden Globe. And he's in the Rock & Roll Hall of Fame. Starting from as early as 1973, when he won his first Grammy, Dylan went on to to win 12 Grammys, along with 43 nominations. He won the Oscar for Best Original Song for 'Things Have Changed' in 2001 for the film Wonder Boys. He got a special Pulitzer Prize for his "profound impact on popular music and American culture, marked by lyrical compositions of extraordinary poetic power" in 2008. This tops the list because the cover was also among Dylan's personal favourites. He said about the cover, "It overwhelmed me, really. He had such talent, he could find things inside a song and vigorously develop them. He found things that other people wouldn't think of finding in there. He probably improved upon it by the spaces he was using. I took license with the song from his version, actually, and continue to do it to this day." Dylan also commented on how his future performances of the songs seemed like tributes to the late singer. "Strange how when I sing it, I always feel it's a tribute to him in some kind of way," Dylan said in 1985. Hendrix was a very vocal fan of Dylan. Written by Dylan in 1962, the song encapsulates the peace movement of the time by asking a series of rhetorical questions about peace, war and freedom. The iconic protest song is also a part of the Grammy Hall of Fame and the Rock and Roll Hall of Fame which validate how the lyrics are so timeless. Released originally in his 1966 album Blonde on Blonde this up-tempo number was made famous by The fourth Beatle's cover version. The lyrics have a positive side to the lover's waiting for his beloved who seems to have left him after he lands in jail. Or something like that. The song is a detour from Dylan's usual sour-stirring poetry, offers a look at a lighter, more up-beat version of Dylan's persona. 'Masters of War' was released on the album The Freewheelin' Bob Dylan in the spring of 1963. Dylan's lyrics are a protest against the Cold War arms build-up of the early 1960s but the song's melody was adapted from the folk singer Jean Ritchie 'Nottamun Town'. 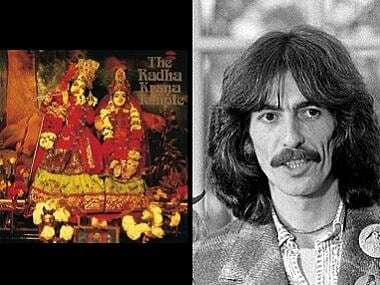 The singer was also reportedly sued by Ritchie's family for intellectual property rights. Interesting trivia: Dylan burst into a passionate and political rendition of this song during the 34th Grammy Awards telecast with his band, a poignant and pointed choice given the Gulf War in Iraq. Rolling Stone tells the tale of Dylan's fading career in 1973, because of two failed albums and no new releases in three years. This was why he accepted director Sam Peckinpah's offer to take a minor role in his Western Pat Garrett and Billy the Kid. He headed down to Durango, Mexico, to film the movie and cut the soundtrack over a handful of days in January and February of 1973. Ultimately, it was this soundtrack that became Dylan's biggest hit. The song describes the collapse of a deputy sheriff; dying from a bullet wound, he tells his wife "Mama, take this badge off of me; I can't use it anymore." 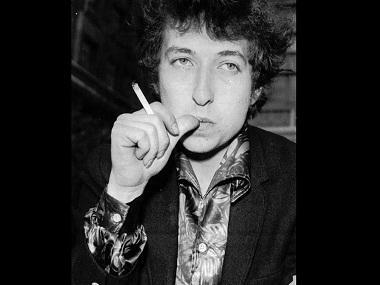 Over the years, Dylan has changed the lyrics, as have others like Eric Clapton and U2 who have performed this song. The song earned him a Grammy nomination for Best Rock Vocal Performance — Male in 1996. The Guns N' Roses cover in 1990 for the Days of Thunder soundtrack is a fan favourite.